You may have seen this on my Instagram a few weeks ago, but I am so excited to announce that I was selected as one of 50 photographers from around the country to showcase a local beauty on a national level. Michiana is an incredible community, and a big part of that is the wonderful school systems in every town that educate fantastic kids into adulthood. I am beyond thrilled that I am able to introduce the country to one of our fabulous Michiana Teens! The 50 Beautiful Seniors campaign is put on by Beauty Revived, a community of photographers who are dedicated to using their lens for good by sharing stories of real women showing beauty in what they do. So, what does this mean for one of our Michiana girls? 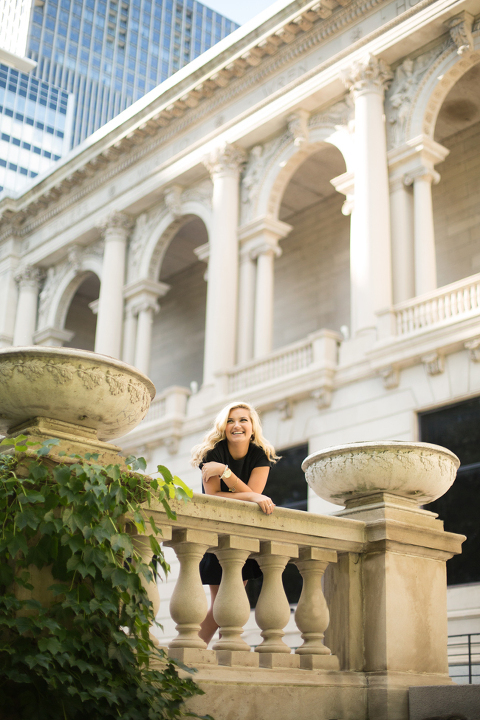 An all-exclusive Senior Experience with Meagan Gilbert Photography (allllll the bells and whistles!) at absolutely no cost to her. My gift to one deserving girl and my heart is exploding over this opportunity. If that wasn’t enough, she also will be featured in the 50 Beautiful Seniors January Edition Magazine AND have the opportunity to win one of two $2,500 scholarships! What am I looking for in my 50 Beautiful Seniors campaign? I’m looking for the girl who always seems to be doing things for others and rarely does anything for herself. I’m looking for the girl who has a heart for giving back and has made a great impact in her school and/or community. I’m looking for the girl who was dealt a terrible hand in life and has risen from that situation beautifully, despite what was stacked against her. I don’t need ALL of those qualifications, but if when you were reading the last few sentences a girl came to mind, THAT is who I am looking for. One of the best parts of all of this is that we are continuing to empower and build each other up by nominating. A gift that is just as special as receiving this experience, is being the one that GIVES it to her by nominating her. When you hit that submit button, zip those lips! When I choose the girl who best fits the description, I am going to contact YOU first so that you can be the one to share the news with her–so I would love for her to be totally surprised by that. I promise the joy you will feel sharing that news with her will rival her excitement for the next few months. So, stay tuned! Tomorrow (9/28) at 7 pm nominations go LIVE for exactly one week and I am so excited for you to introduce me not only to yourself (because you’re amazing for selflessly nominating) but also to the next #50BeautifulSeniors campaign winner! Nominate a beautiful senior today!